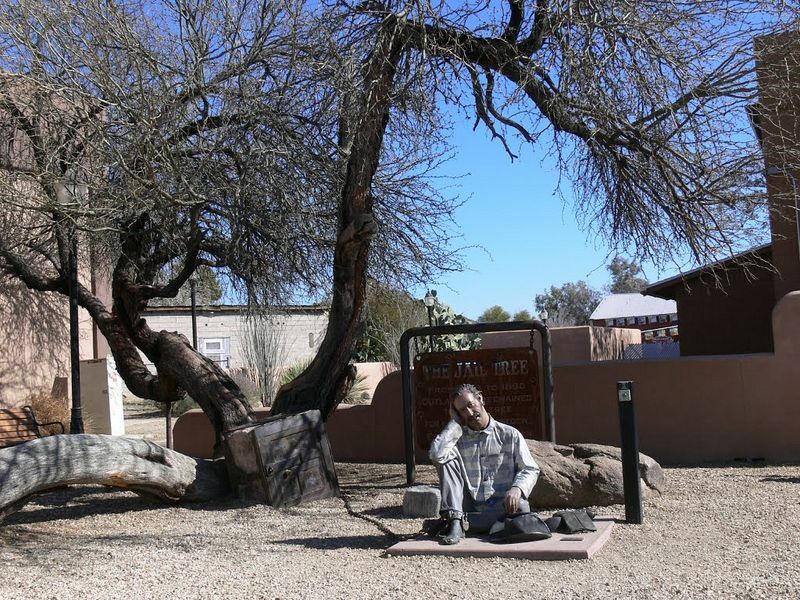 In the town of Wickenburg in Arizona, there is a 200-year old mesquite tree that according to legend, served as the town’s “hoosegow” between 1863 until 1890, when the town finally got itself a real jailhouse. A town built upon a booming gold mine, Wickenburg, as the story goes, had everything except a church and a jail. 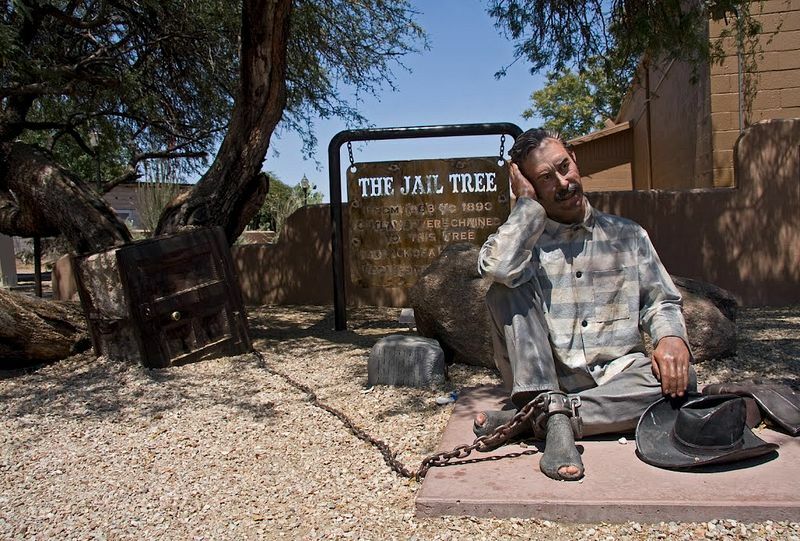 So when any criminal was apprehended, they were sentenced to the tree and chained there until a sheriff from Phoenix could get down to Wickenburg to collect them. This could take anywhere from two to five days. 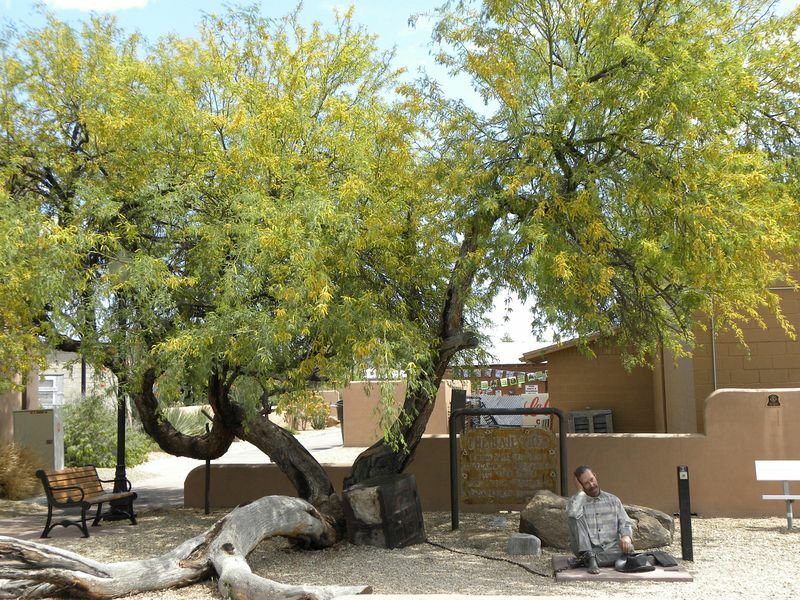 Today, the Jail Tree is one of many tourist attraction in this historic mining town. There is a life sized sculpture of a morose prisoner tethered to the tree by a heavy rusty chain. A sign near the tree explains the significance of the tree while proudly proclaims that there were no escapees. One woman who claims to have been a resident of Wickenburg in the early 1930s, however, disagrees. She wrote in an email, which now published on a website, that the Jail Tree is just a fable, told to kids by their parents to scare and discipline them.